A relaxing day at the beach with your two best friends, Red and Blue. 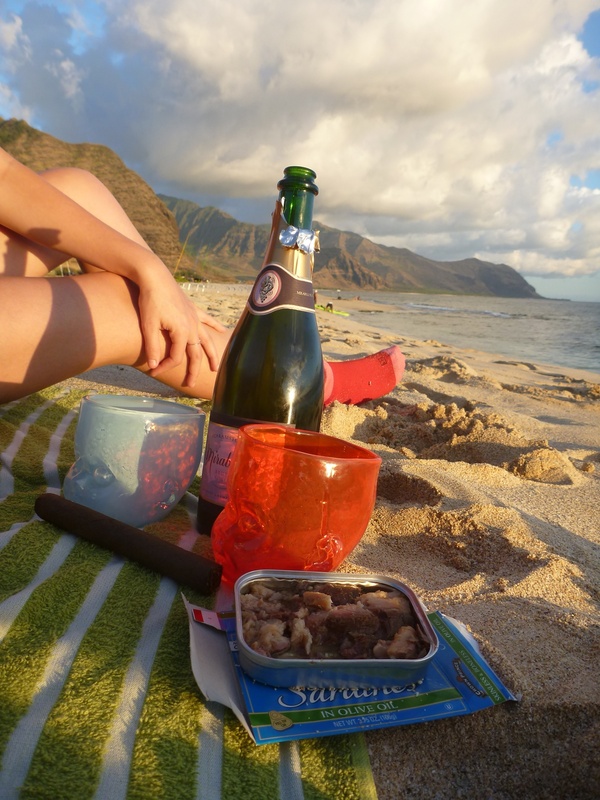 Complimented with a bottle of bubbly and and the Crown Prince’s finest sardines. A regal and cultured submission from Henry Strozier. Cheers!